I found a small colony of Chimney Sweeper moths near to my home at Norchard this afternoon. I think they are recent colonists as I have not seen them here before. According to the Worcestershire maps they are the first 10 kilometre square sighting since at least 1990. Interestingly I had a Chimney Sweeper in fields opposite my house yesterday with several Burnet Companions and a Mother Shipton. Have visited these fields regularly for many years and these are the first I have seen there. 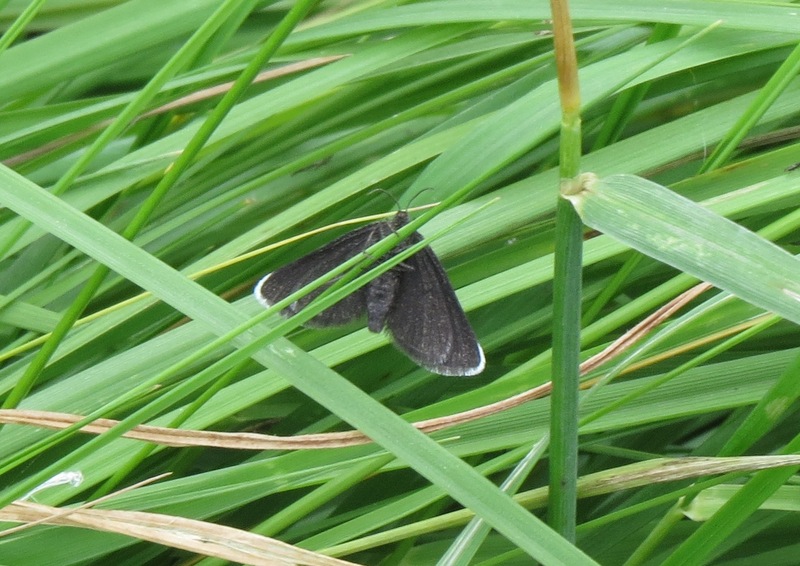 I have had singles of Mother Shipton and Chimney Sweeper in the garden. Been looking at the pignut here on Bringsty, but no luck as yet. If the wind ever drops below hurricane force, I'll look again. This wet site has recently changed ownership and is no longer grazed by sheep, which may have had a bearing on the Chimney Sweeper colony. Saw about 70 over the border in Radnorshire yesterday.